Moon / September 6, 2016 / L.A. Even I fall victim to the spa, hair salon, and health food store people who convince me to by a product that’s almost totally organic or marketed as safe. Pictured above are the products that I just threw away a couple days ago. 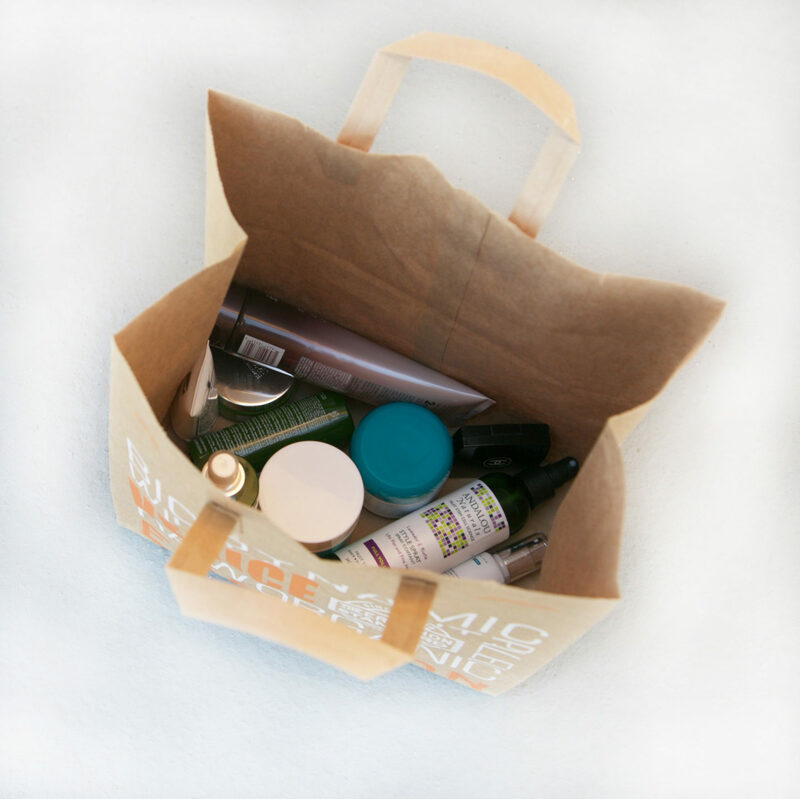 If you tend to pick up products while traveling, browsing through whole foods, or from the nice hairstylists at the salon then you might want to take some time to check the ingredients. I know it’s not easy to trash your products, you may feel like you are wasting money, but is it worth your health? My general rule for products is ‘if you can’t eat it, you shouldn’t be putting it on your skin.’ Your skin will absorb the products and it will enter the body causing all kinds of problems for you if used over long periods of time. Think about deodorant for example, it gets sucked right into the large pores in your armpits and eventually reaches the breasts causing breast cancer. Most Asians don’t wear deodorant and breast cancer is very low among Asians. My advice is don’t rush product purchases, don’t feel pressured to buy anything, and take the time to research products online. The EWG site is a good place to start. Go to Skin Deep to see how your favorite products score for safety. Listed below are ingredients to avoid. For a more detailed description go to Terressentials or do your own research! Yes! More people need to share the information that’s on EWG.com so we can all make better choices about what goes into and onto our bodies!